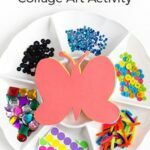 This winter craft activity is fun way for kids to explore collage art while making a pretty winter craft. 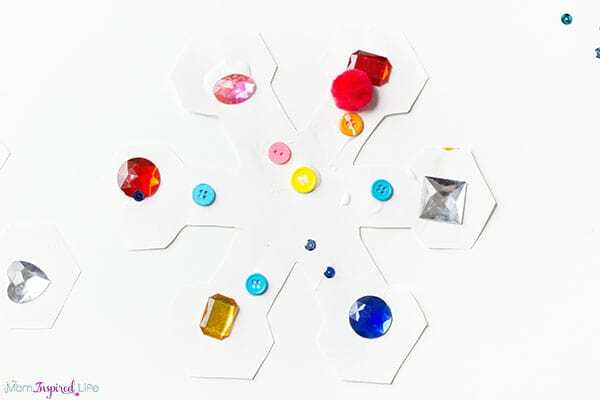 It is a winter art activity that is all about the process, not the product. 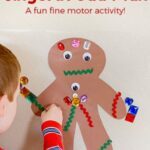 My kids loved our gingerbread art activity so much that I just had to create another collage activity for them. 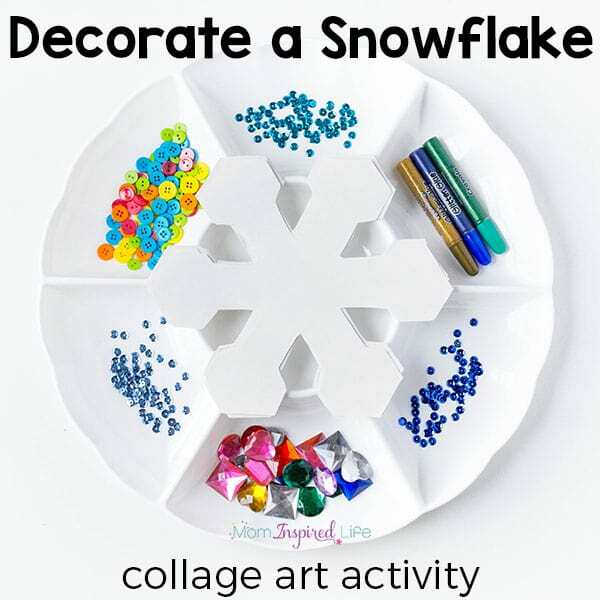 Since winter has just arrived, I decided that a snowflake version would be the perfect winter craft for them. 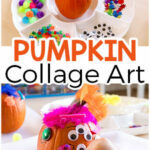 This collage art activity didn’t disappoint. They loved it too. We are even going to hang them on the window to add some color and vibrancy to the dreary view we have had lately. I am not even sure when I saw the sun last! 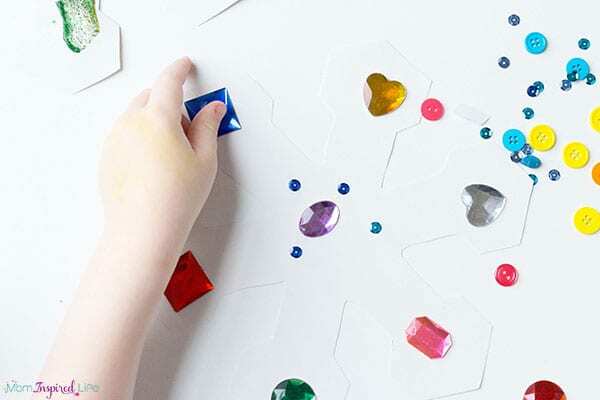 Not only is it a beautiful art project for young kids, but it is also a great way for kids to develop fine motor skills. All of the squeezing glue bottles and manipulating tiny objects is fantastic fine motor practice. 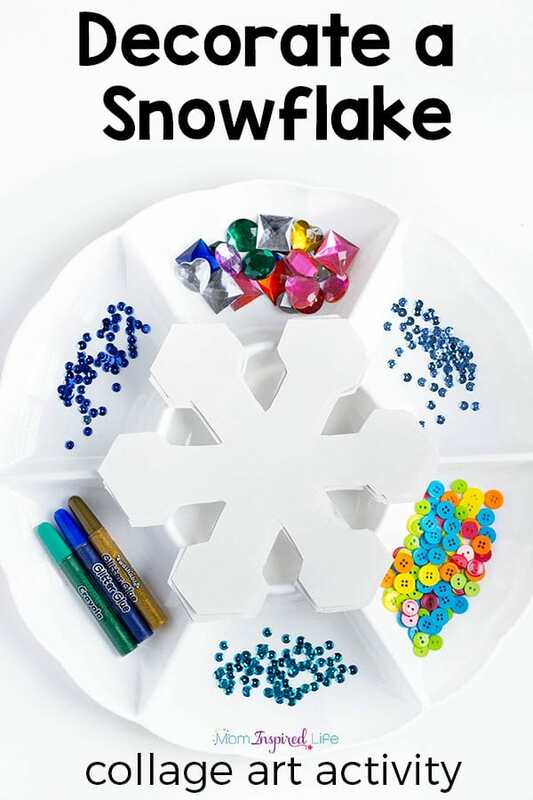 I can tell we are going to be doing this winter craft again and again all winter long. I don’t mind because it so easy to set up and keeps the kids occupied for a long time. I printed out the snowflake template, cut it out and traced it onto a sheet of white construction paper. Then I stacked about 5-7 sheets under that sheet and cut them all out at once. I repeated step 1 again so they would have a plenty. I put all of the craft supplies in a divided tray and grabbed a few bottles of glue. 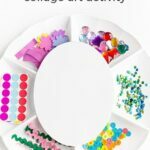 Then it was ready for the kids to create! 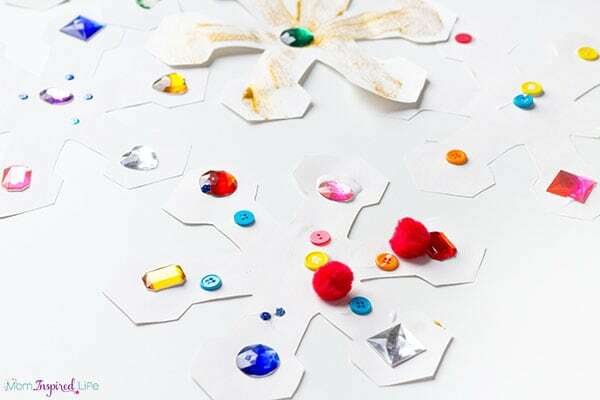 My kids really enjoyed adding all of the buttons, sequins and gems to the snowflake. They really enjoyed designing it all on their own. I didn’t interfere at all and let them do whatever they wanted with the supplies. 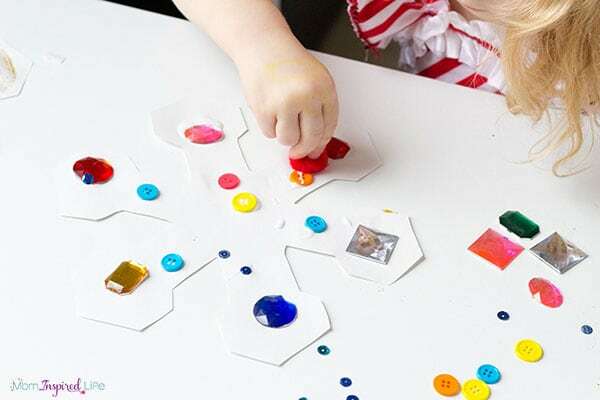 I loved watching my kids exercise their creativity and use the materials in ways I wouldn’t have even thought of. 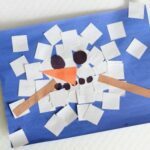 I know we will be doing this winter craft activity again! 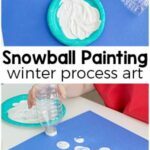 Here are some more winter activities for kids!